Contrary to popular belief, Dubai is not an oil based economy. In fact, oil only represents 6% of its revenue and this is not expected to change as its oil reserves are expected to be exhausted within the next two decades. Instead, Dubai has become a model of diversification which started in 2004 with the launch of the Dubai International Financial Centre (DIFC), a global financial hub with its own independent internationally regulator and judicial system. The Prime Minister of the UAE and Emir of Dubai, Sheikh Mohammed bin Rashid Al Maktoum, stated that “the future belongs to those who can imagine it, design it, and execute it. It isn’t something you await, but rather create”. This quote perfectly sums up the vision for Dubai which has been turned from a fishing port into a megalopolis in just fifty years. The investment in arts is expanding in the region and the emirate is not left aside. many related projects undertaken, Dubai seems to be on a “rush to art”: an opera completed in 2016 that can accommodate up to 2,000 people, the first ever totally 3D printed building constructed the same year and in only 17 days. These two impressive constructions are serving as aperitifs for the principal project of this “future” campaign, the technological Museum of the Future scheduled to open in December 2018, with the motto “See the future, create the future” and which perfectly reflects the city’s vision. A bright future unfolds inevitably thank to investments in research and development and this is something Dubai understood quickly. Indeed, the Arab Health (healthcare conference) and the world’s largest attended laboratory exhibition and conference (MEDLAB) are hosted annually, respectively, since 1975 and 2002. The previous editions welcomed more than 100 000 visitors and 4000 exhibitors from all around the world; the event is highly appreciated by the companies as they have access to the African and Asian healthcare markets. Dubai is globally known for its impressive buildings, more specially for the Burj Khalifa, an 828m tower completed in 2010, which is the tallest building in the world. The city is also known for its very practical indoor ski station which allows you to snowboard despite an outside temperature of 40 °C. Nonetheless, it’s with the announcement of the first of its kind self-flying taxi drones « Ehang 184 » coming next summer (find out more here) that Dubai confirmed its leadership role and found itself pioneering the high tech sector. All these technological and societal advances have allowed Dubai to position itself as a major player of the current world and who’s participation in its development and growth should only increase in the upcoming years. In 2016 and with 15.27 millions of tourists, Dubai was the 4th most visited cities worldwide behind Bangkok, London and Paris. These numbers say a lot about the importance of tourism in Dubai’s economy, which stands at around 10% of GDP. 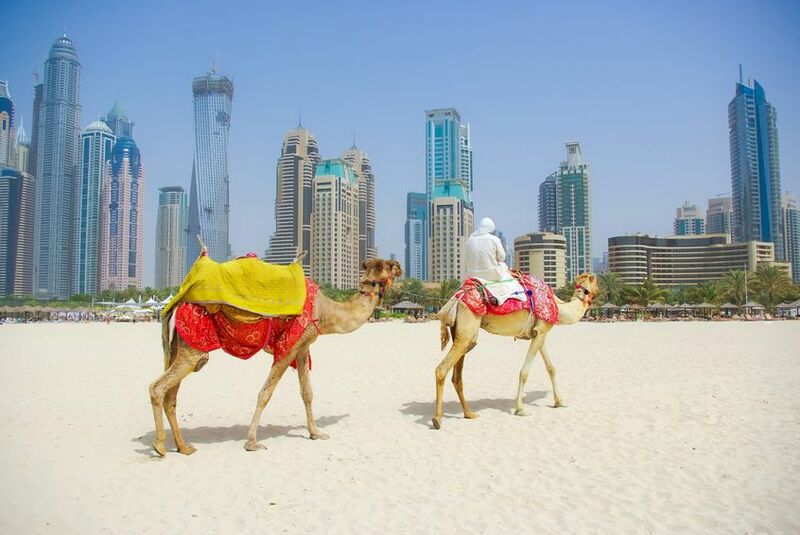 Dubai is also one of the world’s fastest-growing tourism hubs. The city’s ambition is to host 20 million tourists by 2020, the year when Dubai is set to host the World Expo, the third biggest world’s event after the Olympics and the football World Cup. Indeed, the impact on tourism is such that 25 million business and leisure visitors are expected during the six-month run (October 2020-Avril2021) around the event. As a result of this, many international corporations are opening their regional representative offices in Dubai and over 270,000 jobs are projected to be created. It has an indirect effect on the hotelier market as well, as they plan to double the accommodation capacity. We’ve started by saying that isn’t the main activity of the economy. A fair question would then be: if not oil, then what is that Dubai trade? Thanks to the concept of “free trade zone” (FTZ) in which tariffs are very low (less than 4%) or even inexistent for some increasingly frequent exceptions, Dubai appears to be even more attractive for foreign investors because of the absence of tax on personal income or capital gains. In a certain way, it also imports Foreign Direct Investments (FDI) by offering a better business environment to investors. The fact that Dubai is a FTZ allows it to extricate itself from other hubs; the election of Mr Trump in the U.S and the Brexit had a certain effect on their access to global markets and Great Britain could benefit a lot from a tariff free zone as they are losing access to the internal European market. As far as the U.S is concerned, its new atypical position on international trade could have some repercussions in the near future and lead to retaliations from other countries. The Dubai International Financial Centre (DIFC) and the Dubai Internet city are two examples of what is known as a “city within a city”. These cities are attractive destinations for most investors even without the free trade zone advantage, because of Dubai’s intrinsic characteristics seen previously, and the FTZ just make them even more attractive. Finally, Dubai is major and re-export hub as well. Re-exporting means exporting goods that were previously imported into a country and this manoeuvre is principally used for commercial purposes in order to avoid import tariffs and commercial sanctions from other . Re-exporters could then take advantage of Dubai’s location and global agreements to avoid costs that they would not have been able to avoid in their home country. As discussed above, this is a very attractive asset and Dubai is well aware of it. Why is Dubai potentially a good future hub ? The Jebel Ali port in Dubai illustrates this well as it is a major interconnected commercial platform serviced by 170 shipping lines and is among the top ten world’s busiest ports. Strategically located in Dubai, close to the airport, the port is at the crossroads of multiple regions, providing market access to over 2 billion people as Dubai can be qualified as a commercial capital for the Middle East, north Africa and beyond. The port is an ideal platform for exporters to reach not just regional markets, but also global economies. For many observers, the city is reaching its peak and will be on the decline right after the World Expo effects are over. 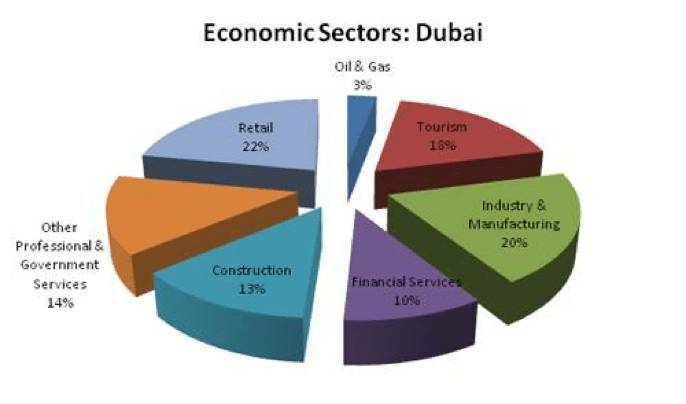 However, with such a diversified economy, Dubai seems to be prepared to face the challenges awaiting it. That said, it will be interesting to witness which direction will this surprising economy will take afterwards. Whether it is through investments in arts, technology or development, Dubai has proved his will to be part of the turning point that globalization is now living and the best is yet to come as Dubai is a place valued for both its commercial, touristic and societal aspects. Does your business trade in Dubai?